EZ Horse Betting with online racebooks just got a little easier. The National Thoroughbred Racing Association (NTRA) and Chase Bank announced on Tuesday, February 6th 2018 that the largest bank in the United States would allow the credit cards it issues to be used at online racebooks like TwinSpires and BetAmerica. Chase issues more credit cards in the U.S. than any other bank. More than 80 million Americans have a Chase credit card. This move is a positive one for those who bet horses online in the United States. Online racebooks have been legal in America for some time. The problem has been that Chase and other credit card providers have blocked transactions with advance deposit wagering companies. This has prevented many individuals from creating accounts and making bets. The president of the NTRA, Alex Waldrop, has stated that he believes the news to have a positive impact on horse racing and wagering in the United States. Waldrop also believes that the handle, or total money wagered, at many tracks could go up. Online racebooks allow bettors to make bets at almost every track in the country. The racebook odds are tied directly to the on-track tote board. More handle means that major horse racing jackpots like the Pick 6 could increase dramatically. An increase in handle could also raise prices on individual horses in various races as well. Waldrop thanked Rep. Andy Barr (R-KY) for spearheading the effort that ultimately brought Chase Bank into the online racebook fold. Barr claims that he is encouraged that this move could impact the entire thoroughbred industry in Kentucky, a state legendary for the Kentucky Derby and for breeding champion race horses. In recent years the thoroughbred racing industry has suffered a decline in wagering and handle. Many attribute this to the exorbitant take out rates imposed by local tracks. Tracks derive their profit from take out, and it can be as high or higher than 20% of the total pool for some bets. The news was announced on the front page of the NTRA website. The NTRA is a positive force in the industry and regularly sponsors handicapping contests for bettors. Many of these contests are held online. Now, more bettors can take advantage of the contests because their credit cards will be accepted. Would you like to use your Chase credit card to bet horses online? 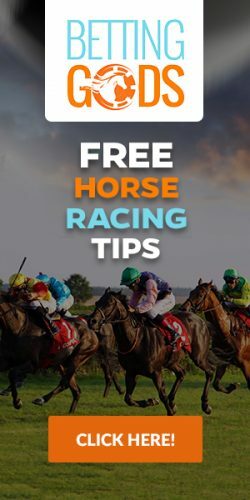 Just check out our recommended racebook and you can be making bets in a matter of minutes. You’ll get access to a wide variety of tracks in the United States and abroad. Online racebooks also offer a nice welcome bonus when you sign up and free past performances.